my Aunt Joyce emailed me this picture. I could not believe how much Chelsea looks like me! Starting on the left is my cousin Lisa and in front of her my sister Deb. 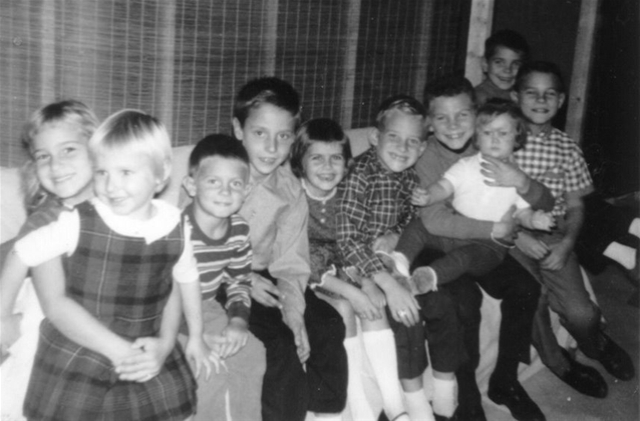 I don't know all the other kids except when you get to me on my Uncle Jim's lap with my cousin Michael (we just lost) sitting to his left.